Time: about 30 minutes ?? Mamertine Prison (Carcere Mamertino) was a prison located on the northeastern slope of the Capitoline Hill next to the Gemonian Stairs, at the edge of the Roman Forum. 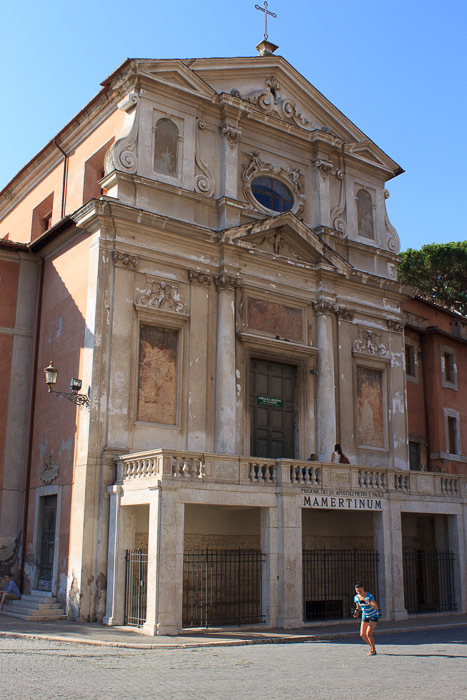 The church of San Giuseppe dei Falegnami now stands above it. The prison was constructed around 640-616 BC, by King Ancus Marcius. It was originally created as a cistern for a spring in the floor of the second lower level but King Servius Tullius (6th century BC) created the two gloomy underground cells named the Tullianum into which prisoners were lowered through an opening. This was a place not of punishment or long-term imprisonment, but of detention and execution for condemned prisoners. The ancient historian Sallust said it was 12 feet below the ground and "neglect, darkness and stench make it hideous and fearsome to behold." The Goth Jugurtha and the Gaul Vercingetorix were prisoners held here. 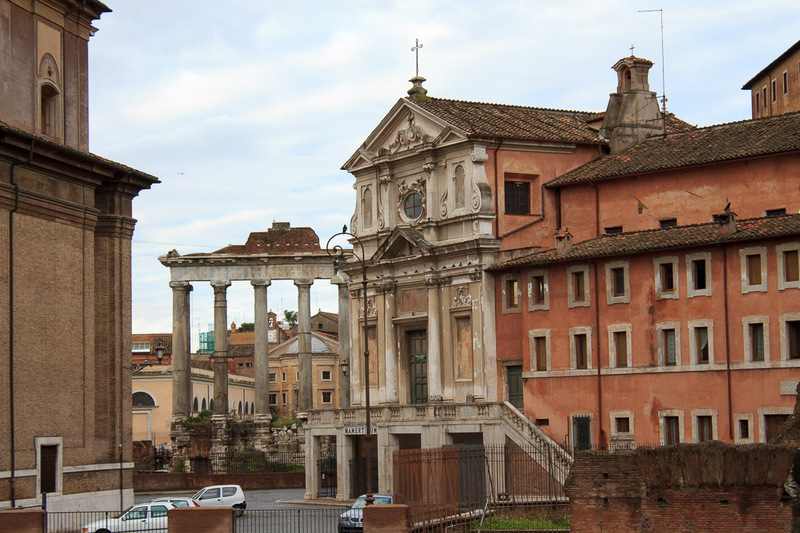 Tradition has long held that St. Peter was imprisoned here but there is no reliable evidence that this happened. The prison was in use until the late 4th century AD, then became a pilgrim site due to the legend of St. Peter. Today, modern steps lead down to the upper level of the prison which is at the original ground level of ancient Rome. A touristy plaque lists the more famous prisoners and how and when they died, and another lists the martyrs and saints who were held here. The opening in the floor through which prisoners were lowered is covered by a grate, and a modern staircase now leads down into the Tullianum. Several sources recommend against paying the €5 to go inside this site for a cheesy walk through, so I haven't gone in yet. My time estimate is just a guess. See all Mamertine Prison photos.